Exercise, diet and stress can all result in stomach sensitivities leading to gastric ulcers, which are not only uncomfortable for the horse, but if left, can seriously damage their health. Horses with ulcers will often lose condition, underperform and become grumpy and irritated. Uls Gard pellets will heal and prevent ulcers by neutralising acid, soothing, coating and calming the stomach lining. The effect is to reduce stress and improve digestive transit. Give Uls Gard with every feed to any horse in training or competition, travelling or receiving high levels of hard feed. Available in 1.6kg - a 40 day supply at maintenance. Uls-Gard Solution can be fed daily to any Horse or Pony when they are on a high grain diet. In high levels of work, showing signs of ulceration e.g. dull coat, underperforming, loss of weight and condition, yawning or gulping, or reluctance to eat hard feed. TopSpec Digestive Aid is designed to optimise digestive health and stimulate appetite in horses. TopSpec Digestive Aid contains vitamin B12 and high levels of a pure, protected probiotic yeast and a prebiotic MOS. 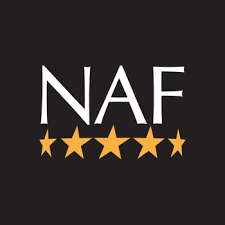 It is particularly effective for horses that are working hard, on high concentrate/low forage diets, or stressed. It is ideal for use after antibiotic/worming treatments which can upset the hindgut microbial balance. This proven formula, containing grass and mint leaves with added peppermint oil to make the whole meal smell delicious, works on appetite both externally (appetising smell) and internally (via a range of ingredients). Effects on the digestive system and appetite will start to show within two days but maximum effects on appetite from the ingredients that work within the body will be seen within three weeks. Using TopSpec Digestive Aid helps to maintain firm droppings in horses that have compromised hindgut function. This can be caused by, for example, insufficient fibre intake or stress. Both competition horses and elderly horses are good examples of horses that can suffer from loose droppings.TopSpec Digestive Aid can be added to any combination of feeds or supplements. It must be mixed into damp or wet feed. 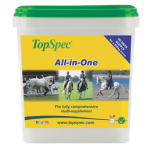 TopSpec Digestive Aid is supplied in 3kg tubs which will last a 500kg horse for one month. Turmeric Plus has been specifically manufactured to promote healthy skin,coat,digestion and joints. Turmeric (97.5 %), Black pepper (2.5 %).